We have an incredible selection of new flooring. Give your home the style it deserves, allow us to help rejuvenate every room with beautiful Carpet or Flooring. Check out our Beautiful Hardwood Flooring and Planking options as well. Wicall’s Carpets & Flooring can have your home looking great when company drops in for Easter. In addition to Vinyl Planking, we have an enormous selection of Hardwood Flooring and Plush Carpet, Area Rugs and much more! (see our promo code). 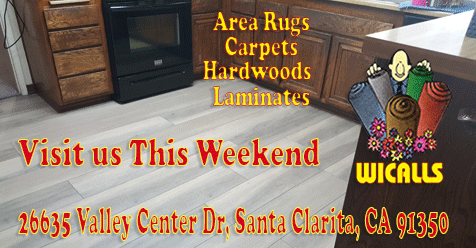 Wicall’s is the Best Choice Santa Clarita for all of your flooring needs and desires! Wicall’s Carpets and Flooring in Santa Clarita for 51 Years. We Love SCV. 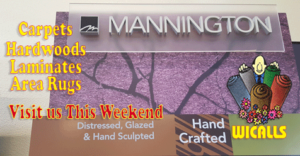 Visit us This Weekend. Proud member of SCVPROMOS.com (a HotSpot Local program). Free Area Rug with Purchase of 300 sq ft of Any Flooring.